Ganga Plumbers is a proudly South African company and was established in the year 2000. We have now grown into a 24 hour operation with 20 fully equipped plumbers to render the required service with world class workmanship.We pride ourselves in providing excellent service and after sales back up. We are equipped with world class machinery and tools that solves all plumbing related issues. Doosh Ramouthar is a third generation plumber who worked as a teenager with his grand-father in the trenches and studied analytical chemistry, graduating with a higher diploma. Whilst doing odd plumbing jobs to pay for his studies he realized his passion for plumbing. He then changed faculties and studied advanced plumbing at Swinton Technicon, hence forth opening Ganga Plumbers. Ganga Plumbers was established as a one man operation.Today we have grown into a streamlined 24 hour plumbing service provider with a reputation for dependability and value. Ganga Plumbers prides itself on an ongoing commitment to safety, quality, service and continued growth. We are licensed, registered and insured and believe that professionalism in our industry is first and foremost. The company’s sole director, Doosh Ramouthar, is watchful over all operations and gets closely involved in trouble shooting as he is an expert in the plumbing industry for many years. All plumbing crews are controlled by a dedicated team of administrative case managers. The case manager’s daily tasks are dispatching plumbers to work-sites, constantly liaising with clients on progress of the work undertaken and ensuring timorous site inspections are carried out. We commit to supplying a superior plumbing service built on excellent workmanship, dependability, and value. To enjoy continued growth from a commitment to safety, quality, on-going training and the implementation of technology. The company name, Ganga Plumbers, is also very special in Hinduism. 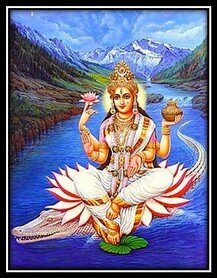 The river Ganges is considered sacred and is personified as the Goddess Ganga. It is worshipped by Hindus who believe that bathing in the river causes the remission of sins and facilitates Moksha (Liberation from the cycle of life and death), hence, the water of Ganga is considered very pure.Ganga Plumbers takes pride in its diversity of staff, welcomes new talent and believes in uplifting all that is part of Ganga to ensure a superior result in service and general production.